Have you ever been hiking or birding with a pair of binoculars or a heavy camera, and after a few minutes realize that your neck is starting to hurt, and your equipment seems to be twice as heavy as when you started hiking? Well if that has happened before, we have a solution for you! The Orion Binocular Harness Strap is the perfect accessory for any birding binocular or camera that you'd wear around your neck. The secret comes from the fact that the weight of your binocular or camera is shifted away from your neck and onto your shoulders. 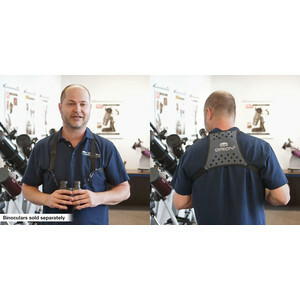 You'll never want to go back to a standard neck strap after using the Binocular Harness. 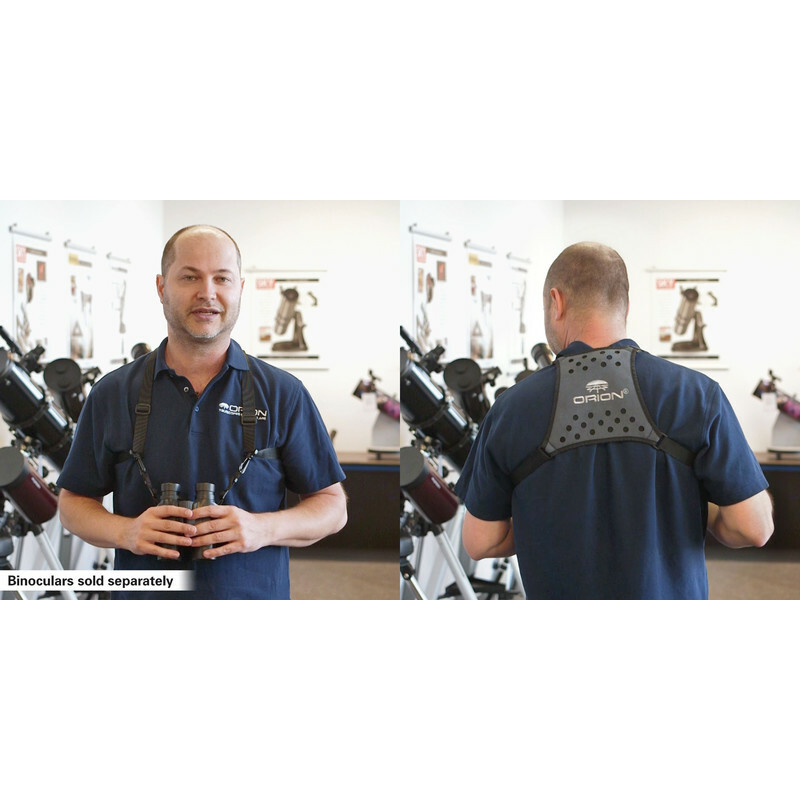 Say goodbye to neck strain while hiking or birding! And you'll find an added benefit while holding your equipment up to your eye -- when you look through your binocular or camera, the small amount of tension created from the straps pulling back against your shoulders provides a bit of stabilization to the image. So not only are you less prone to neck strain, you have less jittery views as well! A real win-win all around! 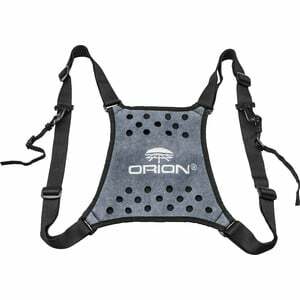 Made from a microfiber fabric and breathable mesh, so hiking in hot or damp conditions shouldn't induce any discomfort. Fully adjustable, and one size fits all. Useable on any binocular or camera that accepts standard 10mm wide straps.